As some of you might know I am training to run a half marathon in the end of May. I have NEVER NEVER NEVER before in my life liked to do cardio, especially not running. But in the summer 2013 some of my friends and I decided that we wanted to implement the 21,1 kilometers. We made a plan and decided that we would start the training in the beginning of 2014. But! The friends I’m running with are all boys and they are always in much better shape (so unfair right?) so I decided to start out a little sooner. I started in November running only one time pr. week. I have been playing soccer for many years (notice that I stopped about a half year ago) but other than that I have only been doing cardio on the cross machine at the gym. My body had to get used to the new type of exercise – in the beginning I could only run 5 km before my muscles would start hurting. Oh and the day after I would be so sore! Now January is about to end and I am in my best running shape ever. I run with my friends 3 times a week and I can (almost) easily follow their pace. Even though the snow is falling and it’s zero degrees outside I am still looking forward to my run. The longest I’ve been running is 12 km, and I am 100% sure I will be ready for that half marathon. – Buy some proper running shoes! Really! – Push your self HARD! But when you start to feel unnatural pain STOP! Injuries are not fun. – Make a plan – write down WHEN and how LONG you are going to run. Then follow it! – Make a playlist! A good motivating one. ← Easiest bell pepper pizza EVER! Thanks for stopping by my blog. I just signed up for my first half marathon last night after ~2 months of sporadic training. 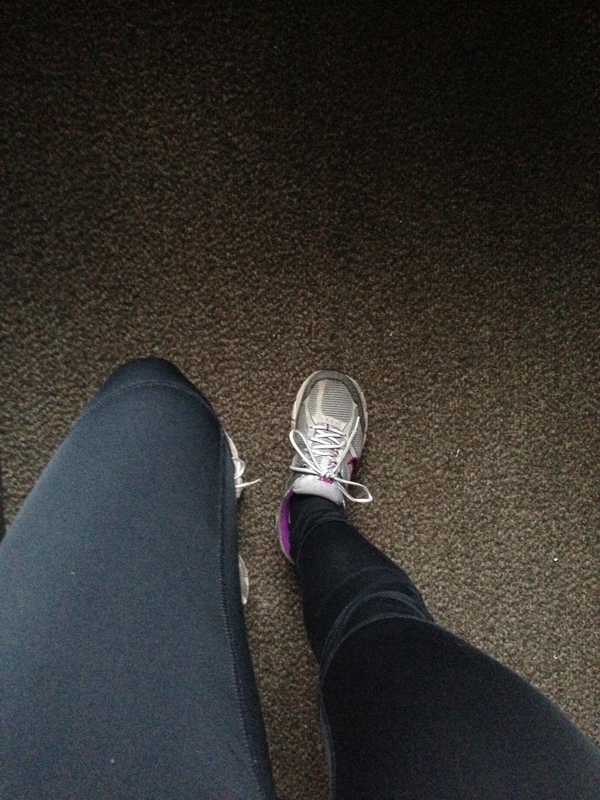 So far I’m still at the 5km and hurting part…. but your progress gives me hope :). Good luck with your race!